I finally got around to watching this ‘retro-report’ from the New York Times: When Dungeons and Dragons Set Off a ‘Moral Panic’. I think that it’s quite good. 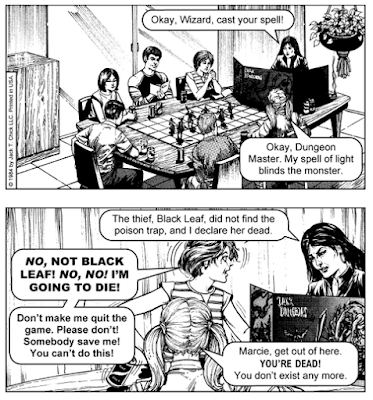 It summarizes some of the main elements of the great D&D panic of the early 1980s, including the claims that playing D&D ‘causes’ suicide and murder amongst teens (by making them loose touch with reality, by glorifying violence, and the like), and that it promotes ‘Satanism’ and ‘the occult’. It has some interesting clips of Gary Gygax from 30+ years ago, as well as other news reports from that era, and some recent comments from Tim Kask. It also includes some contemporary reflections on the hobby, including great remarks from well-known authors like Cory Doctorow and Junot Diaz. Towards the end of the report, Diaz touchingly comments on the value of role-playing games like D&D in cultivating creativity, providing a ‘safe place’ for ‘unpopular’ kids to socialize and develop self-confidence, and so forth. It’s a very ‘pro’ D&D piece overall. Watching the report reminded me of my own experience with the 1980s hysteria over Dungeons and Dragons. Fears of ‘Satanism’ and the like concerning the hobby were never as intense or widespread in Canada as they were in the United States. (I think this was, at least in part, because of the absence of anything comparable to the American ‘Bible Belt’ in Canada. While of course there are Canadian fundamentalist Christians, they are a much smaller portion of the overall population than they are within the United States.) Nonetheless, there was something of an echo of the panic in Canada, and especially in southern Ontario where I grew up, probably because of its proximity to Michigan (where one of the famous incidents that inflamed the D&D panic occurred in 1979, as explained within the retro-report). Here’s what happened to me. 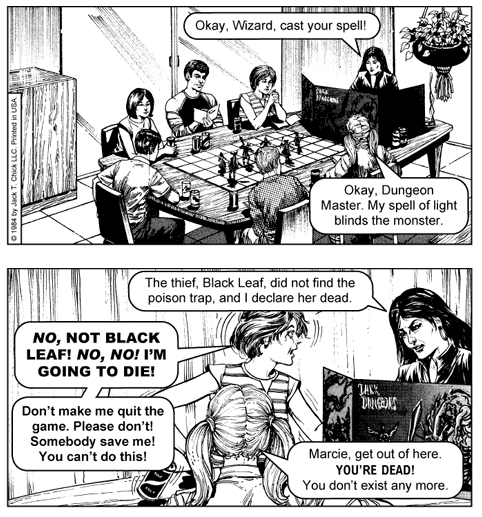 There was a role-playing club in my high school in London Ontario (I think it may simply have been called the ‘Dungeons and Dragons club,’ even though we played games other than D&D; I can’t remember now). One day, in 1985 I think, a news reporter and a cameraman from the local television station asked to film one of our games. Needless to say, this was quite a thrill for a gang of nerdy adolescent boys! 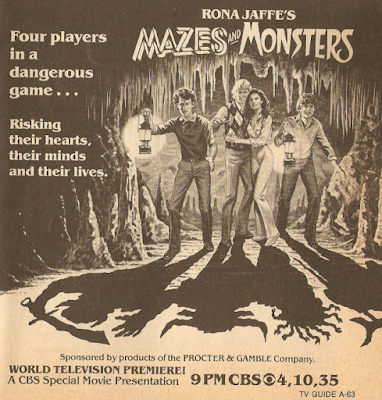 And it was especially thrilling for me, since I was the Dungeon Master. I was dizzy at the prospect of having ‘my’ game displayed on television. The glory! Over the subsequent two weeks I watched the six o’clock news like a hawk, waiting for my 15 minutes of fame. But it never happened. There never was any news story on our amazing high school RPG club. I was crushed. One of my friends in the group understood why: “We just weren’t controversial enough; actually, we weren’t controversial at all.” If only my friend had named his elf ‘Heroin’! Or if only one of us had started weeping and screaming at the prospect of his third-level cleric being killed! Well that was fast! Design Mechanism has made Mythras Imperative -- the core elements of the RQ6 version of the d100 system -- available for free as a PDF and available for a very reasonable price in print from Lulu. I'm amazed that Loz and Pete could distill the essentials of Mythras to 34 pages. Nice work! A 34 page introduction to the Mythras system, designed for both newcomers and old hands. It gives you a pared-down, simplified version of Mythras but still with enough options and depth to be a playable game. 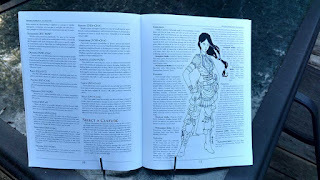 The rules cover character creation, skills, the core mechanics of the game, spot rules for different circumstances, combat mechanics, and several creatures from fantasy, real life and science fiction. Is this a fantasy game? We’ve made Mythras Imperative generic. Skills cover the ancient, modern and futuristic worlds, and the weapons include firearms. So Mythras Imperative gives you the starting point for adventuring in any time period you want. Other supplements, and the core Mythras rules themselves, expand on things like magic, vehicles, psionic powers and so on. Not in Mythras Imperative. We’ve kept things at a high level to make it easy for everyone to get the hang of the basics. 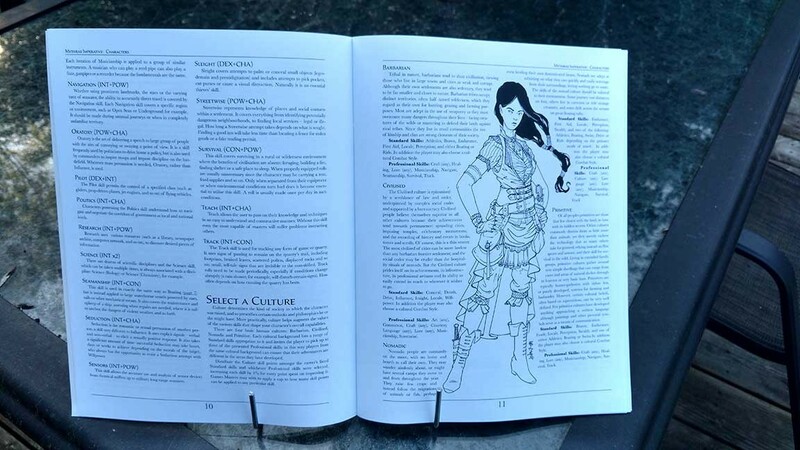 When you’re ready, trade-up to the full Mythras rules for a total of five different magic systems! 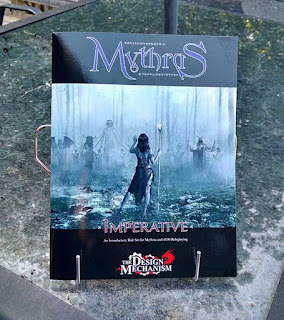 Mythras Imperative can be used by third party publishers to develop their own, Mythras-powered games, in conjunction with the Mythras Gateway License. This simple agreement extends our permission for the Imperative rules to be used wholesale in new systems people want to create. Contact us for more details. What else is available for Mythras Imperative? We have several free scenarios ready for adventurers – fantasy and science fiction so you can see first-hand the scope of the Mythras rules. Does this replace RuneQuest Essentials? Yes it does. 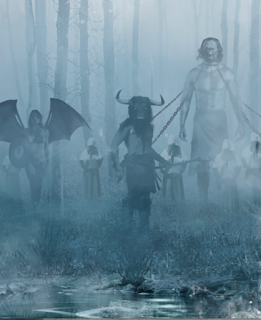 From summer 2016, RuneQuest Essentials will be discontinued. If you have a copy already, you’ll find it fully compatible with Mythras Imperative. That's a great looking cover, one that nicely captures the 'ethos' of the game! I'm really looking forward to getting this. 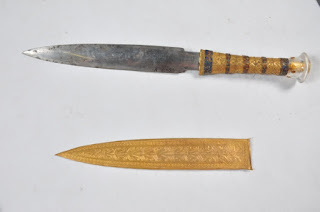 My D&D stats for this meteorite dagger: +3 to hit and damage; double damage versus undead creatures; mummies hit have a 50% change of being disintegrated (no save).